I’ve never jumped like a crazy man on a hotel bed before, or taken bubble bath selfies and posted them on Facebook groups. Maybe it was a moment of madness? Or maybe it was just that Camogli effect. The plan was Portofino, the big famous cousin of this small seaside fishing port. 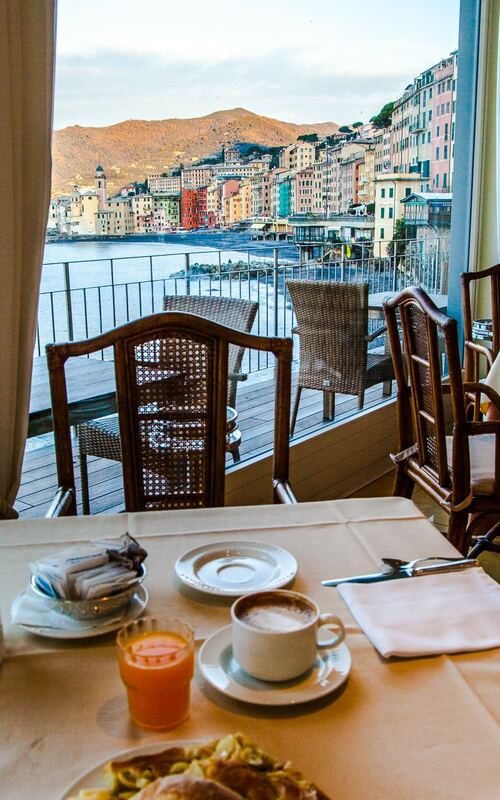 But the second I set eyes on a photo of Camogli bay and the Cenobio Dei Dogi hotel the underdog won. Who wants to follow the crowds anywhere? 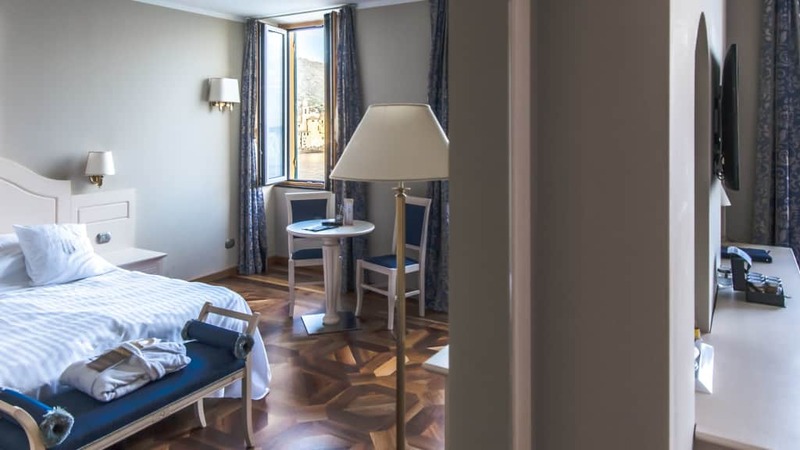 Even on the back of visiting the stunning Cinque Terre region of Northern Italy this place still had me bouncing around on the bed, and with views like that out the window – can you blame me? 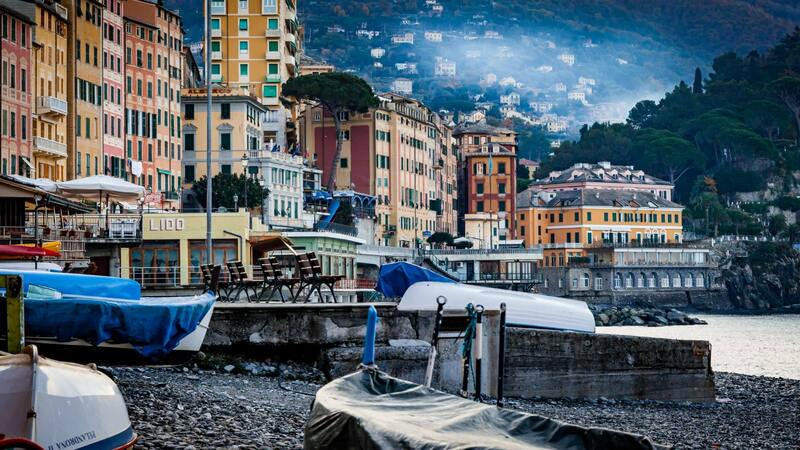 What’s so special about Camogli? Good question and I have no clue. It was December, it was cold, it certainly wasn’t the kinda seaside getaway that would have me tanning it up on the beach. But it was cute, it was charming and those are two cliche words I hate writing. Damn! This place got me good. The small bay, with its pebble beach is illuminated with colourful facades behind it. The tiny crooked alleys leading up the hill are haunted with the scent of that addictive Italian food smell. You know the one? It makes you gain about two stone in weight every time you hear the word Gelato. 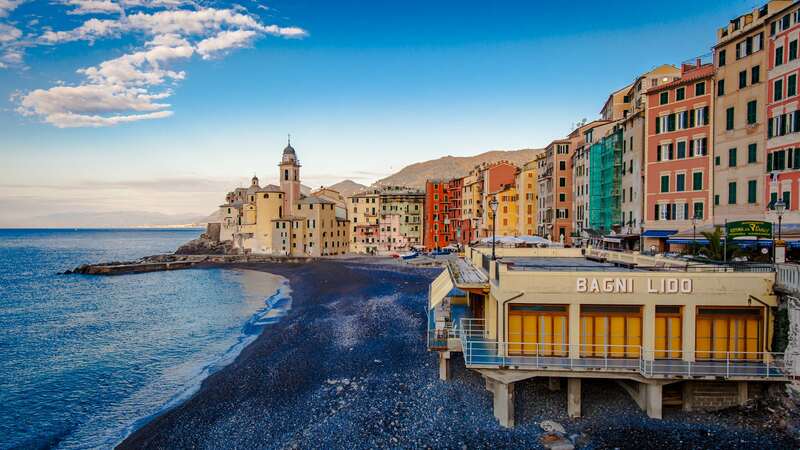 The name of this town heralds back to the fishermen and their long absence, Camogli comes from the phrase ‘Le case delle Mogli (The houses of the wives)’ as one of the oldest fishing ports in Italy. A small church sits on the edge of the bay, behind there boats are moored, markets sell their goodies and people sit around freezing like nut jobs to drink an espresso and smoke a vogue because, well, it’s Italy. This spot hasn’t got any must sees, it lacks the fame of its neighbours, it isn’t even that big. But it’s addictive, it’s colourful and it’s the kinda place you would happily disappear for a few weeks assuming that a James Bond film would rock up and start shooting a lovers scene eventually. What it does have is that European thing. I say a thing because after so many years I still don’t know what that thing is. The cobbled streets? The excited bubble of language? The alfresco dining no matter what the weather? Whatever ‘that thing’ is I miss it whenever I am out of the continent, and here oozes of it. I was well overdue an overdose on some old world style drugs and Camogli comes up trumps. The fishermen with their daily catch, the slow paced life, the grandeur of the high historical buildings. Camogli has it nailed, but I guess not everyone has got the memo yet. I have never accepted any of the free accommodation offers I get yet. Mainly because the kind of Hotels I like have some wow factor, something unique. Because of that, I rarely talk about them on here. This was no different, no freebie, but it was the only reason I even came to Camogli. A few photos on Booking.com later and I was sold. This place oozes class and grandeur but also has the history to back it up. 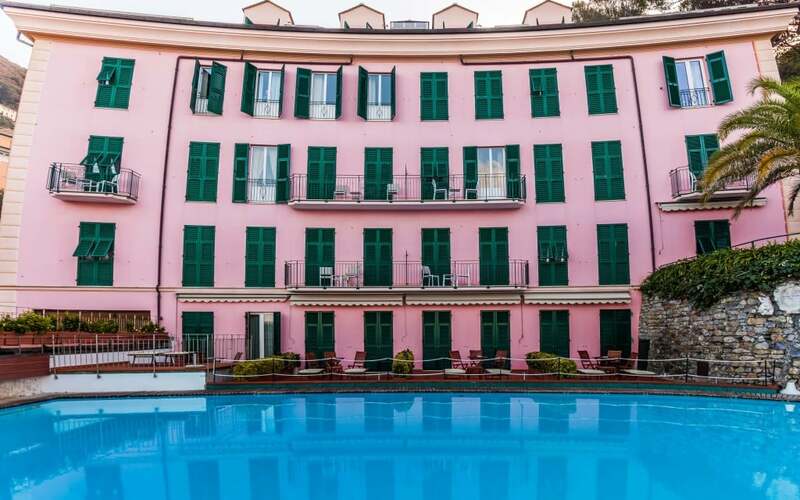 Set in its own private gardens of palms and plants against the Portofino mountain. It was back in 1565 that ‘The Dogi’ was built as a luxury villa for an aristocratic family as a getaway. Eventually, it was abandoned until the 18th century. By 1920’s the plan to build an impressive and luxury hotel was born. Tragically, the man behind the plan passed on but his wife and daughter went ahead and opened the doors in 1956. Luckily for us they did because this joint is the hottest ticket in town. See – Unique and awesome. The restaurant also has the most stunning sunset views of the bay and knocks up some killer cuisine. 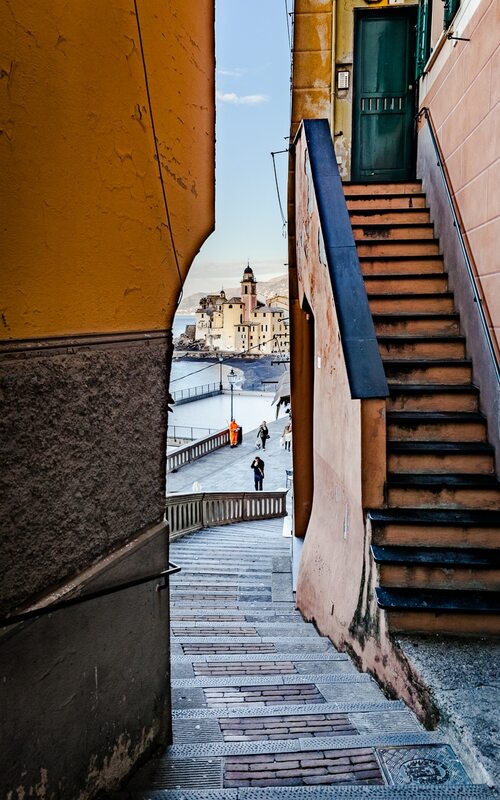 If you weren’t sold on Camogli before, I’ve got to be convincing you now? The Cenobio Dei Dogi Hotel If you want to check this place out, head to this website – I got a great last minute deal, though to be fair, it was dead December time. Getting to Camogli: Super easily reached by train from either Genova (35min-1.15min), from the Cinque Terre region or even Pisa (3hours). 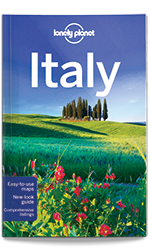 Check out train times on the Trenitalia website. Getting around: It’s tiny. Screw the map and the guidebook and get blissfully lost in a land of food, fish and colourful lanes. 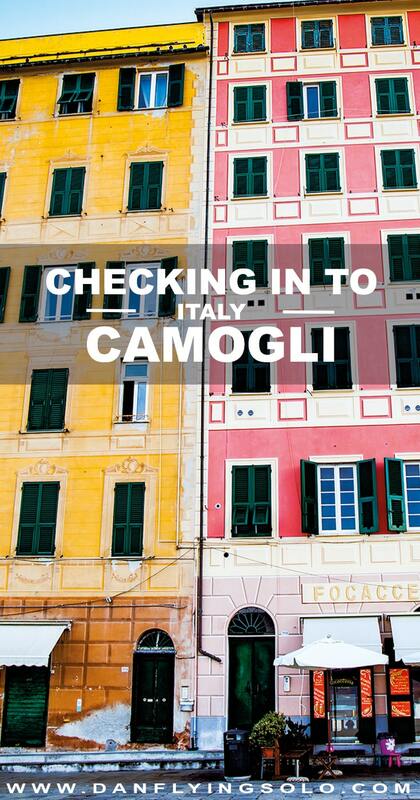 This article made me buy a ticket to Camogli! Hope it’s as good as you advertised it! Thank you for the beautiful posts! Is this near to Portfofino? We are there next week and this looks a nice place to see as well? jst booked here for 2 nites after going to cinque terree – cnt wait! Have an awesome time. Such a beautiful place to chill out. I was recently in Camogli and I must say it is really nice. 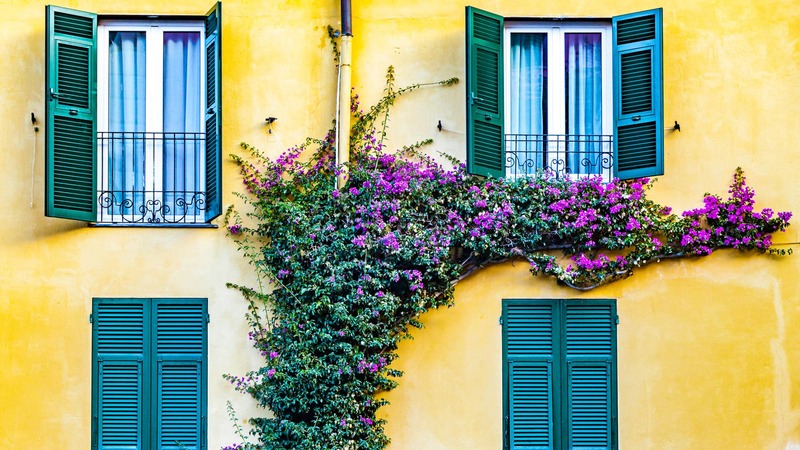 The colorful houses, narrow streets, the smells and the beautiful landscapes are a real medicine for the soul.